The problem with this philosophy is that sometimes you miss out on opportunities. From listening to my friend Gina talk, making ice cream is a complex process. It involves making a custard and having an ice cream maker taking up space in your freezer. Just thinking about doing either of these things makes me sleepy. As a result, I’ve never had a go at homemade ice cream, sorbet or gelato other than a few times with my Grandfather when I was a teen. Or a tween. Some marketing-type-word. So when I went round to Gina’s to watch her make ice cream I was surprised that it could be so easy. I figured since she was doing all the work, I should supply the ingredients, so we chose a blackberry banana sorbet as I had a kilo of what I thought were blackberries in my freezer at home as well as a banana I’d never gotten round to using. 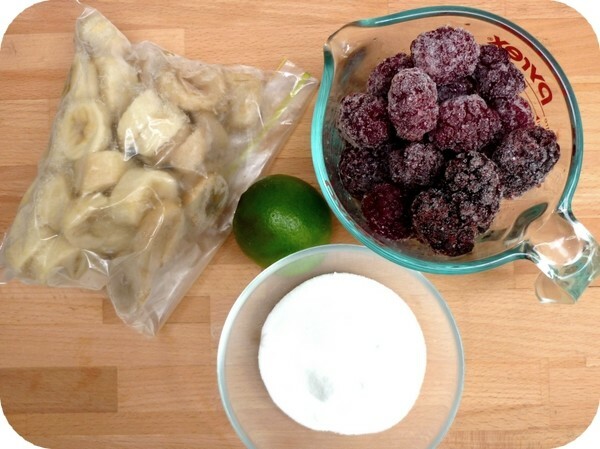 As soon as Ms. G saw them she said ‘They’re not blackberries.’ So we made boysenberry banana sorbet instead. Since the majority of the ingredients were frozen it only took about 20 minutes in the ice cream machine and then maybe an hour of freezing. Gina picked her ice cream maker up on ebay for twenty bucks but she says that with this recipe, you don’t even need one. Having blended everything together in a food processor, you would simply transfer it into another container and leave it in the freezer, stirring with a whisk every half hour until set. You could hypothetically do this with any recipe but it works best if the ingredients are already frozen. 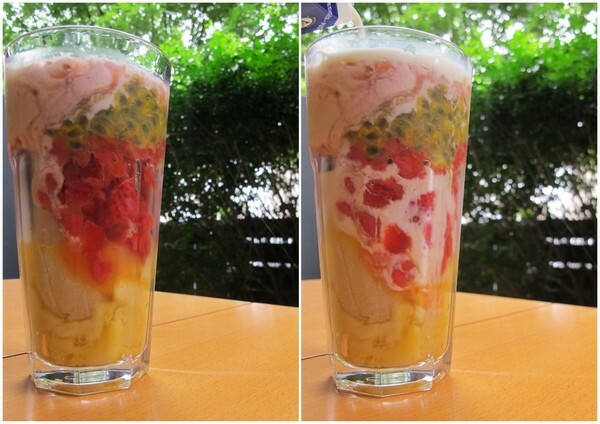 In fact, once the mix was blended we wanted to eat it with a spoon then and there! 1 medium ripe banana (mine was chopped and then frozen, but it doesn’t matter). 2 cups of frozen boysenberries (you could really use any berries). 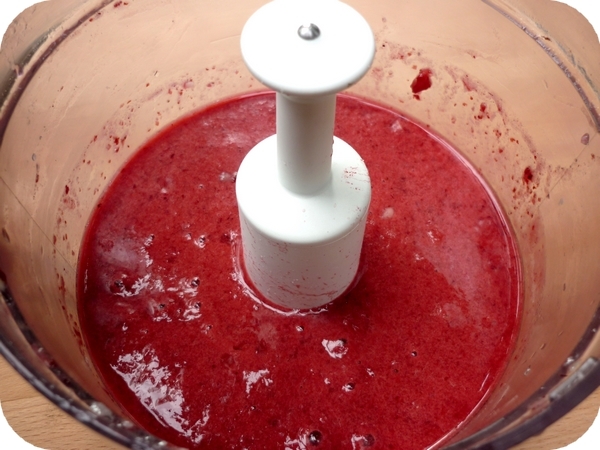 Place all ingredients in the food processor and blend until most of the skins are liquidised. You can’t really strain them out because you won’t be left with much. Chill in the ice cream maker as per its instructions or if you don’t have one, place immediately in the freezer, whisking every half hour until set. Consume ASAP.